Saturday, November 26, 1859.Springfield, IL. 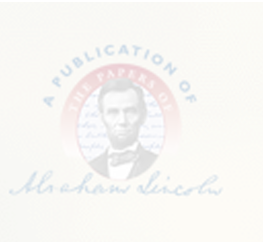 Lincoln files declaration and bond in S. C. Davis & Co. v. Strosnider in U.S. Circuit Court. Files. He writes $8.38 check to W. P. McKinnie, farmer. DLC—Original. Mrs. Lincoln buys cloth and thread at Smith's. Pratt, Personal Finances, 160.